ACTIVISM. 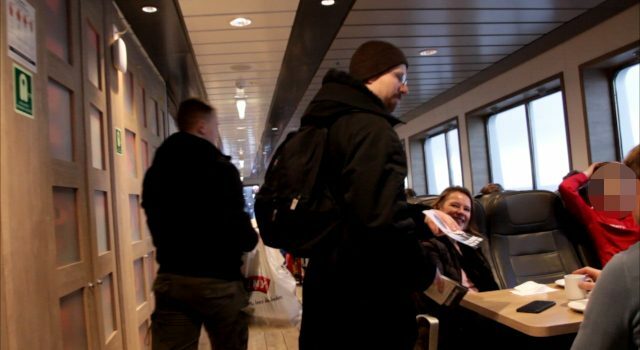 Activists from Norway’s Nest 1 held a public activity in the town of Horten on Saturday, followed by a leafleting session aboard a ferry. 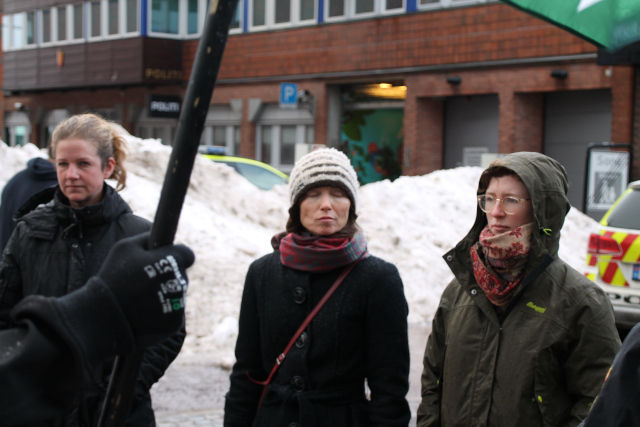 Despite the cold temperatures, rain and snow, there were a lot of people in Horten on the day of the activism. 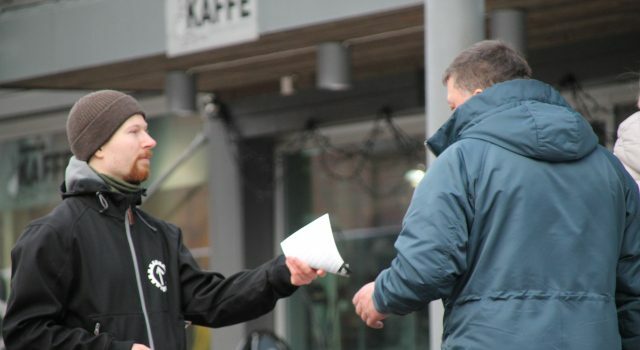 The activists had many good discussions with passers-by, a large number of whom proved to be open supporters of the organisation. 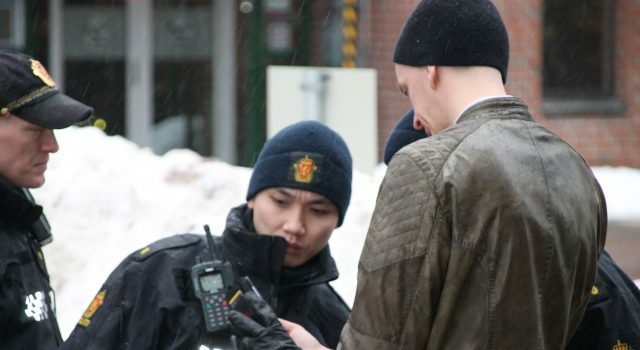 Predictably the police showed up, but the officers were surprisingly cordial and the harassment this time only consisted of the obligatory ID checks. Afterwards the system’s henchmen stayed in the background and observed the Resistance activists at work. Towards the end of the activity, several women came along and relatively quietly (at first) positioned themselves in front of our flag, presumably in some kind of protest. 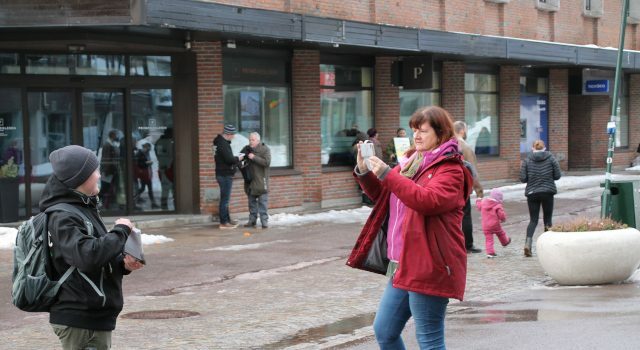 Among them was a crying Sami and left-wing extremist mother who had a ten-year old boy with her. While the Sami cried, the boy taught us about “everyone’s equal value” and how “brown people can be clever too”. He also related how his mother had been so angry at the activists that “her ears got hot”. 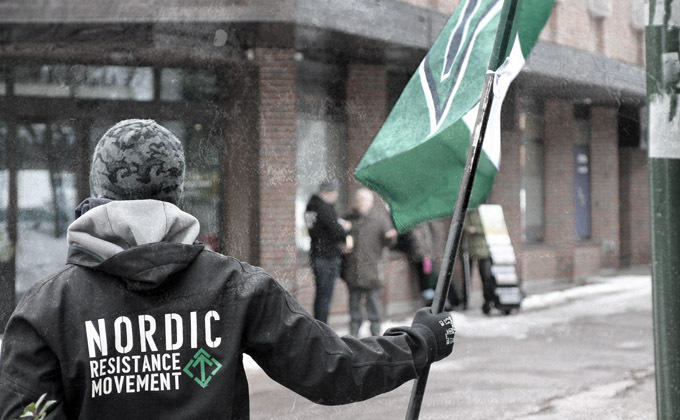 Eventually the boy, who was now cold, wanted to leave but had to wait patiently while his mother continued to stare at the Resistance Movement activists. 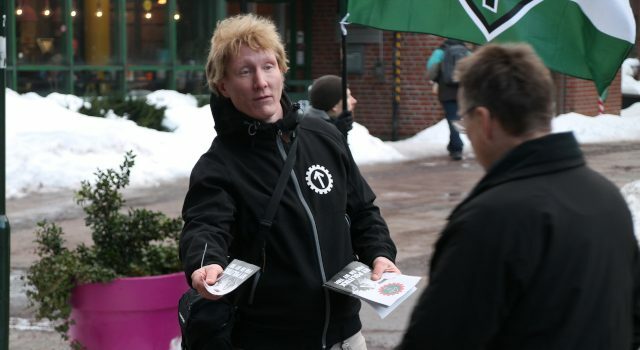 Other humorous incidents included a woman who wondered if we knew what the image on our leaflets was, then read a little of one and shouted “Dear god!” and disappeared from the scene. 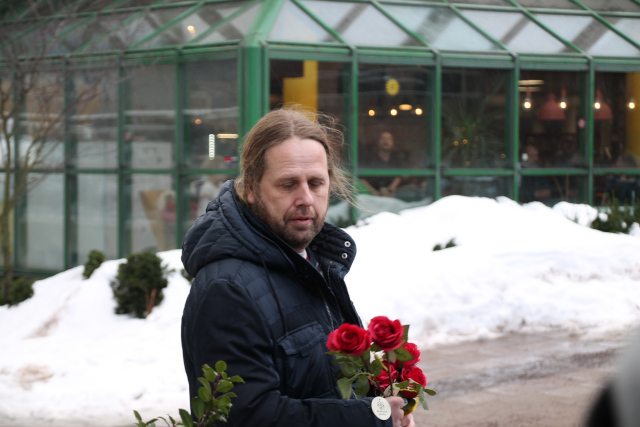 Another involved a tired-looking leftist who came and laid flowers next to the activists. 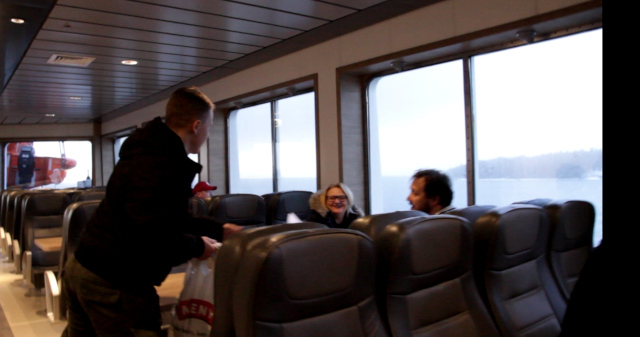 After the activity in Horten was over, some of the activists went to Moss via ferry and gave out more leaflets on board. The reception from the passengers was good, and no problems occurred. 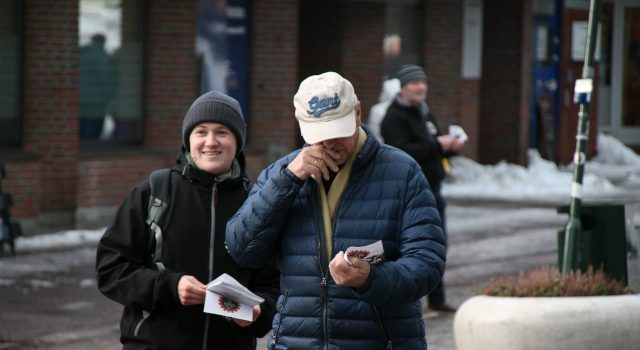 A group of tourists first declined the leaflets but came back a little later and got one for each of them. 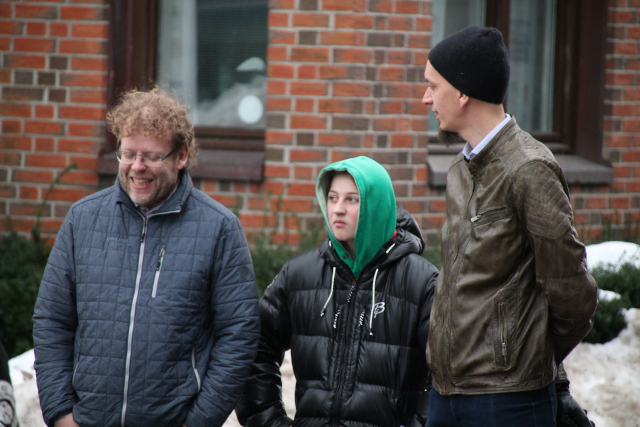 Hi, Eskil! 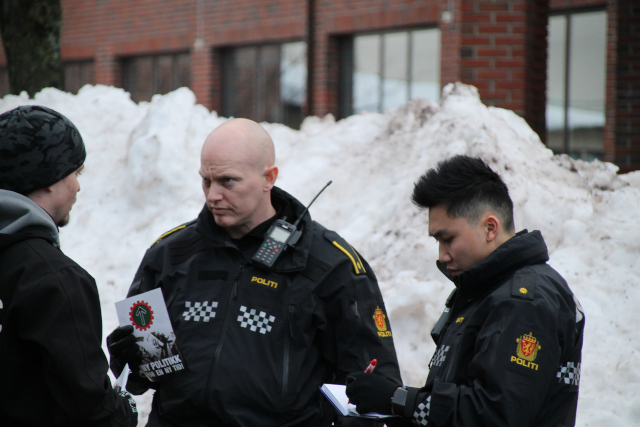 Can you say a few words to our readers about the activity in Horten? It was a successful activity. We received many positive responses from people, as well as some negative ones. 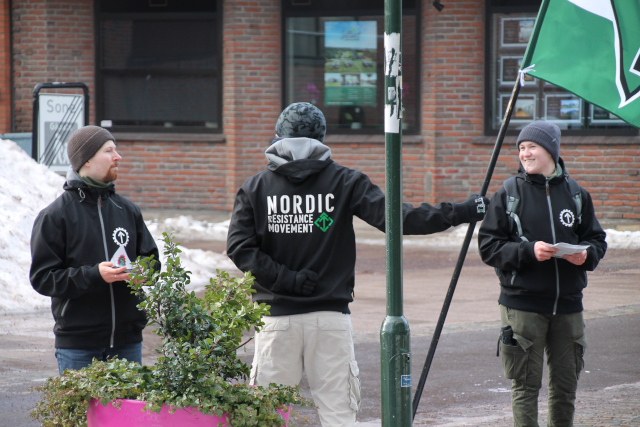 I thought it was particularly funny that our flag had some very interested onlookers. 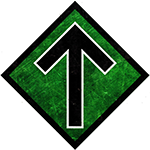 Will the Nordic Resistance Movement return to Horten? 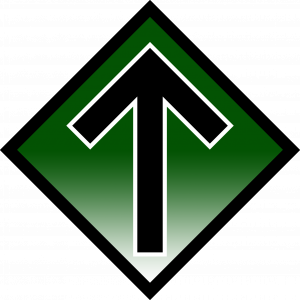 Previous articleNORDIC FRONTIER #98: Jewish Influence – Good for the Nords?